Once a forgotten stop on the tour the CareerBuilder Challenge seems to have gone through a resurrection these past few years and the improving field year after year is prove of that. Phil Mickelson was announced as the official ambassador in 2017 so that only helps to bring more attention to this event. This is a unique tournament because it is rotated through 3 different courses - Stadium Course, Jack Nicklaus Tournament Course and La Quinta Country Club. Let's take a closer look the CareerBuilder Challenge for 2018. In 2016, the PGA West Stadium Course was brought back into play for the CareerBuilder Challenge. It had not hosted an event for 30 years prior. The stadium course is the home course for the tourney and will host round 1 and the final round of Sunday. Of the 3 courses it is the most challenging however when compared to the overall courses on tour it is not difficult to play on at all. Water comes into play on 9 holes at the Stadium Course with the 17th hole being the most famous with it's island green. The fairways are winding and have tons of slope with a slope rating of 150. As far as sand bunkers go, there are over 100 of them surrounding the course with some being as deep as 15 feet to 20 feet. Birdies, Birdies and more Birdies...that's what you can expect at the La Quinta CC course. 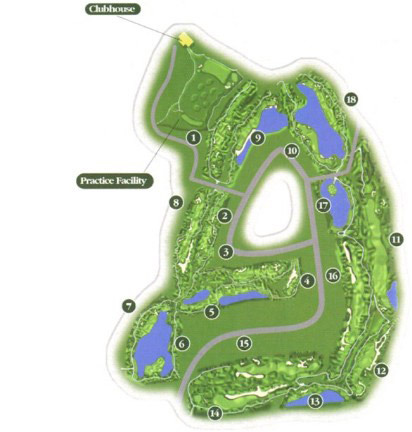 It is the shortest and flattest of the 3 courses and for the Pros this is considered a very easy course. The greens are gorgeous Bermuda and designed without too much slope to them. If the putters are hot the scores are going to go really low on this course. You have to keep in mind this is a pro-am tournament where amateurs who qualify get to play along with the professionals for the weekend. So the courses can't exactly be death row which makes this course a bit of a layup for most PGA tour players. 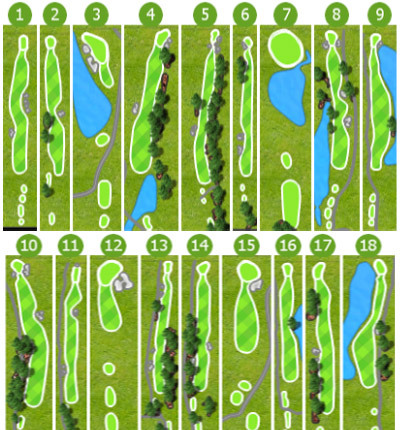 That being said accuracy off the tee is still important here as the fairways are narrow and water will affect errand shots on 6 holes, with the 18th hole being a real test with nothing but water if you go left off the tee. 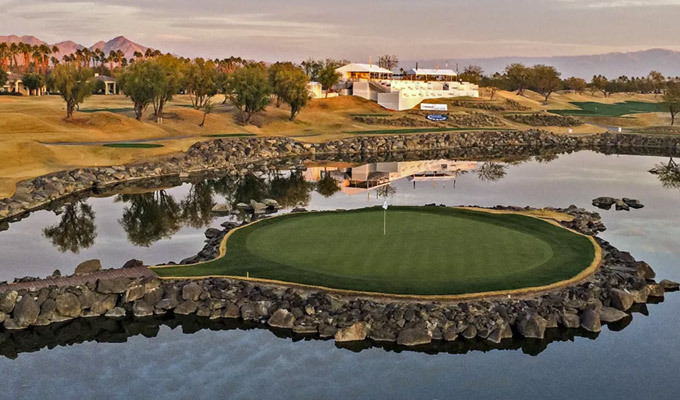 Jack once again comes through with another beautiful design on this the 3rd course in the CareerBuilder Challenge rotation. Much like La Quinta CC you will see many birdies being made on this course throughout the tournament as the fairways are very generous in size and easy to hit for the above average accuracy players. Palm trees line the very picturesque course set in the mountains. 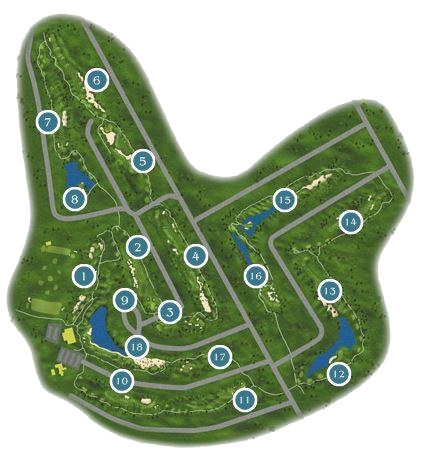 You can consider it a little brother to the much tougher Stadium course but it does have it's challenges like two island green holes and true to a Nicklaus designed course the greens will test the shaky putter with many slopes and angulations to them. The biggest need to win this tournament is the ability to convert birdies on the 2 easier courses, especially on all the Par 5's. Look at the hot putters coming into the tournament from the Sony Open or for the 2018 season so far. The best overall ranking players in this tournament tend to be ball strikers and accuracy players as opposed to the long bombers. Of course, if a long driver player is accurate during this event they should destroy the par 5's. Hole #17 at the Stadium Course is an absolute beauty and is aptly named "Alcatraz" due to it's an island nature which is surrounded by big boulders. Much like the more famous island hole at the TPC Sawgrass your margin for error on this hole is slim to none. It's short but requires pinpoint accuracy and if your fantasy golfer is in the hunt come Sunday this hole is going to be an awesome sweat for you.